Did you know that Alcatel happens to be the number four mobile phone manufacturer in North America? Yes, that might come across as surprising, but this does mean that the company would then have a certain level of know-how when it comes to rolling out mobile devices that are worth your time – and hopefully, money, too. Well, their latest attempt would be the portable LTE connected tablet known as the Pop 7 LTE, where it is set to arrive on T-Mobile. 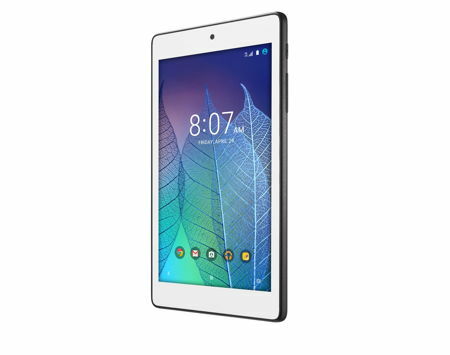 With the release of the Alcatel Pop 7 LTE, you can be sure that this particular tablet will continue Alcatel’s tradition of delivering high-quality and affordable mobile technology to the masses. With an asking price of $129.99 a pop (pardon the pun), there really isn’t much to complain for a device that simply works – albeit in a rather simple manner, of course. Just what kind of hardware does the Alcatel Pop 7 LTE bring to the table? Well, it offers a pure Android M experience for starters, allowing it to run in a smooth and fast manner. Not only that, new Android features such as Google Now on Tap will also ensure a more intuitive and curated user experience. As for the remaining hardware specifications, we are looking at a 7” HD Display (1024×600 pixels) with Oleophobic Coating, a quad-core 1.1GHz Qualcomm Snapdragon processor running proceedings, Android 6.0, a 5MP fixed-focus main camera with a 2MP selfie shooter, 1GB of RAM, 8GB of internal memory and a microSD memory card slot for expansion options, 4G LTE Cat 4 (B2/4/12) and a 3,240mAh battery to keep it chugging all day long.